I picked up this vz24 at a local shop the other week. The price was right and I'm a sucker for a good looking Mauser. There are German waffens of the receiver and sling they read WaA855. I was inquiring if these are original or perhaps fake. 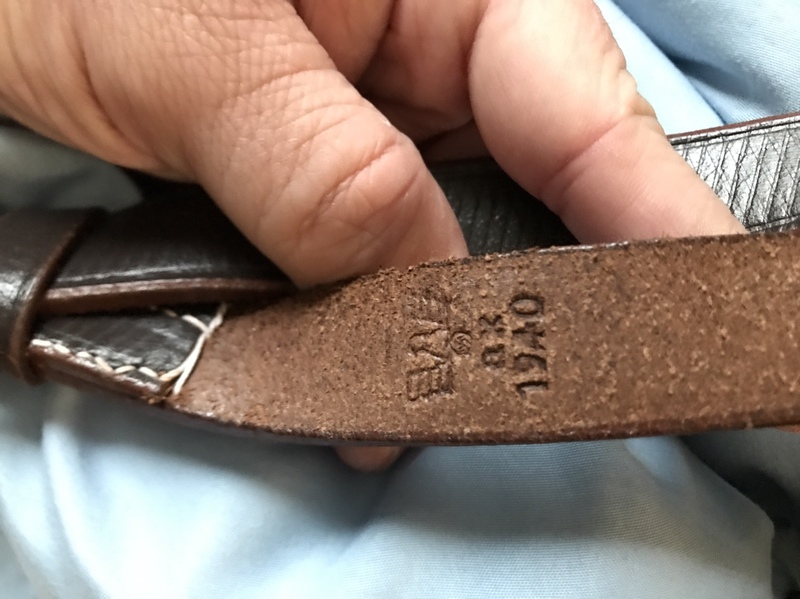 Any info would be nice , thanks in advance. Re: Vz 24 with potential German markings. The Sling does not look correct. Neither do the Waffenampts on the rifle. I think someone bought some stamps from Poland. capt14k wrote: The Sling does not look correct. Neither do the Waffenampts on the rifle. I think someone bought some stamps from Poland. Yea they don't look right to me but there's so many small details I wanted to make sure. I paid the normal vz24 price thankfully because it is a nice rifle but had doubts. Thanks for the input , Any one else have input let me know ! It looks like you may have a k98 or someone put on a k98 stock and rear sight base. 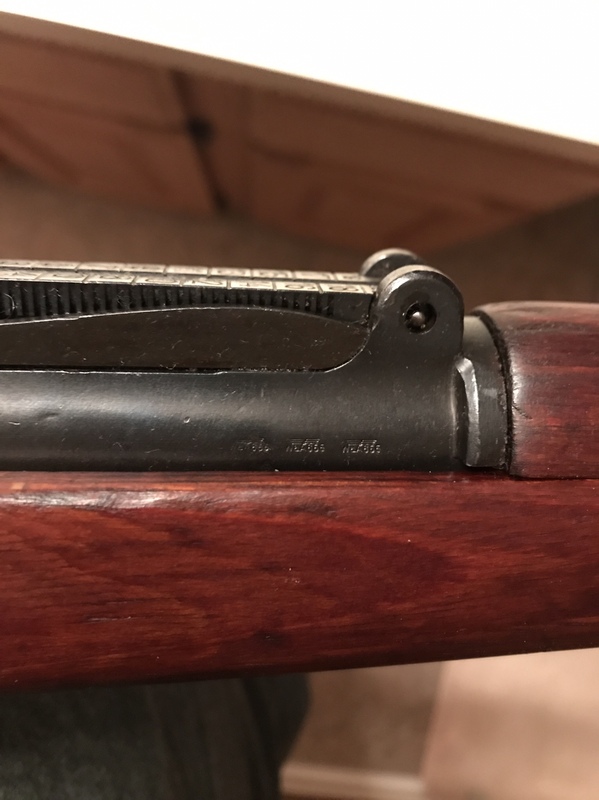 What are the markings on the receiver ring and left side of receiver? The sling is a repro. That shiny as hell bolt and bolt takedown disc reminds me of a Mitchell Mauser. Also IMHO the bolt takedown disc stands a little to proud as if the stock has been sanded. Sling is in too good of a condition to be real to me. Someone smarter than me should be along sooner or later and either prove or disprove my statements. Rifle appears to have been reworked by someone somewhere. Last edited by ffuries on Tue Jun 05, 2018 11:36 am, edited 1 time in total. You're right it does have a lot of K98k features. Bent bolt, stock sling slot, bolt takedown disc, no finger groove. Bent bolt reminded me of the export version VZ-24-JC's at first. Until more pictures and infomation it's an enigma for sure. OP, full lenght pictures and pictures of all the receiver markings would be really helpful. I'll post more pictures , I understand the owner before me did polish the bolt which saddens me. I picked it up because the price was right and hey I just love collecting firearms. Now just trying to figure out its origins. Thanks for the input all! I am almost 100% positive that is a Mitchell's Mauser K98k made up from parts and force matched. 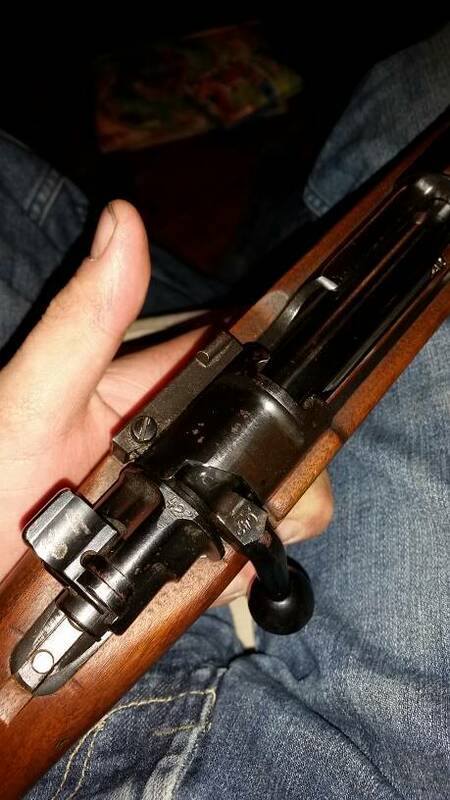 Real K98k's had blued bolts. 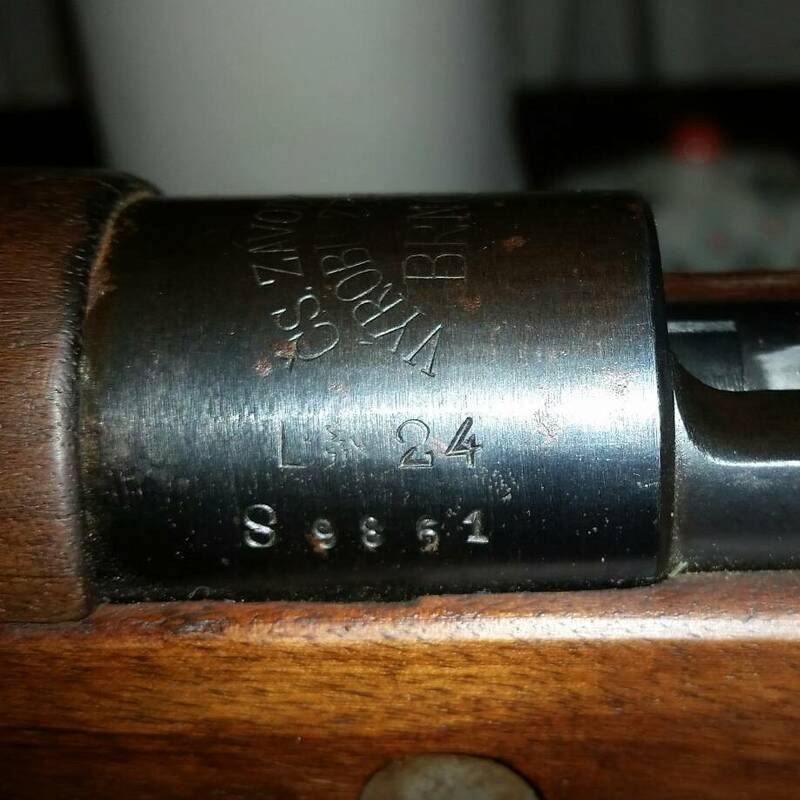 Bolt bend looks to be K98a which were not blued. Not collectible. But a nice shooter. If your in it cheap and it shoots well enjoy it. I think it is a put together fantasy piece. I've got a vz. 24 with a k-98 stock and bolt. And it has Waffenamp stamp marks in a couple spots. When the Germans invaded Czechoslovakia they seized Brno and all its inventory. Its not unusual to find vz. 24s that were pressed into service. Brad Donovan wrote: I've got a vz. 24 with a k-98 stock and bolt. And it has Waffenamp stamp marks in a couple spots. When the Germans invaded Czechoslovakia they seized Brno and all its inventory. Its not unusual to find vz. 24s that were pressed into service. Yours is even more unique. A left over VZ23 receiver used for an early 24. The bolt is 98, so the Mitchell's comment might be right. I've got a German modified Vz-24 bringback I bought many years ago at a pawn shop in Minnesota. It's all matching except for the bolt, which is a complete matching German K98 bolt. 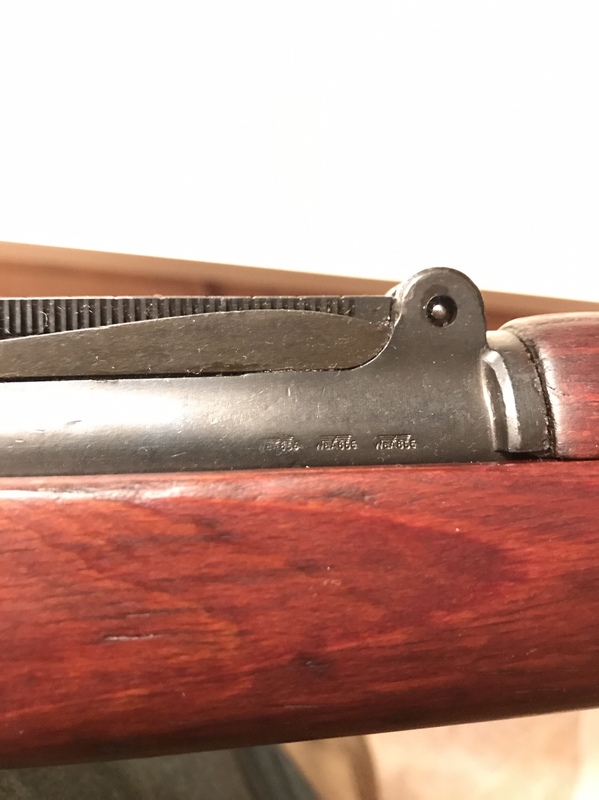 The stock was matching stamp numbered in K98 fashion on the underside of the stock, with trigger, mag plate and front band also numbered to match the original rifle. It's got WaA proofs on the stock behind the trigger guard, and Eagle/"Kru 1" stamps in 2 places. It also retains the original stock disc with unit markings. 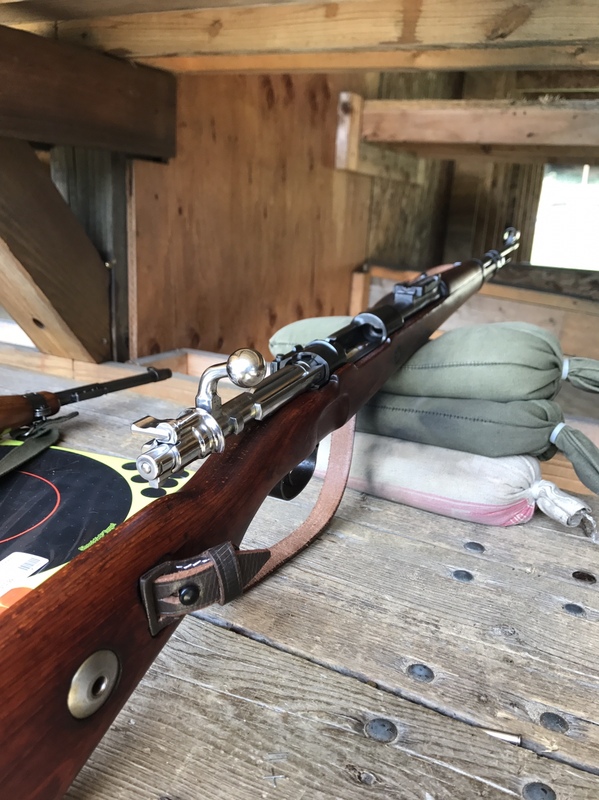 I paid $150 for it, it's one of my favorite Mausers. It looks like a real beauty. I can't speak for its authenticity, but I'd love to own that piece.